As I've mentioned a few times, I have written several pillow patterns for Camelot Fabrics. The first two have been published as free downloads on their site. Just wanted to share a lovely photo that they took of the ELEVATION pillow that I sewed for them in early June. 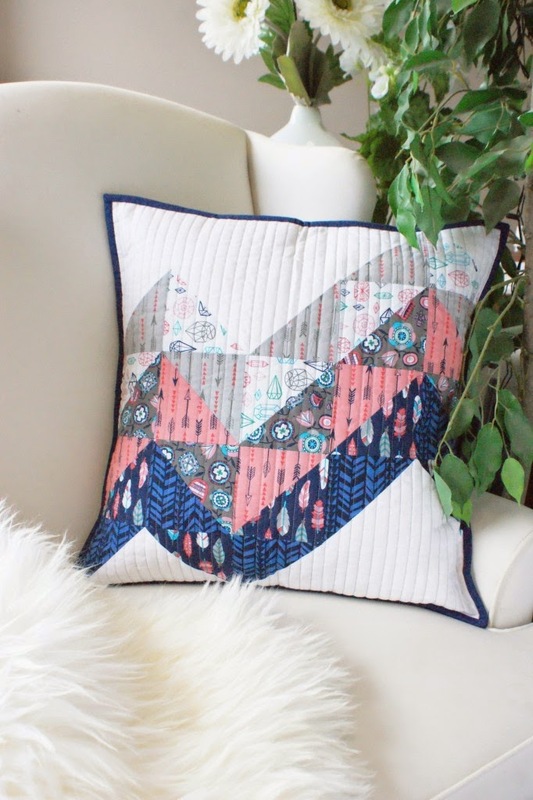 I just love, love, love this pillow!! Beautiful - need to make one !